Pregnancy brain is for real. I always thought it was a myth, until I found studies that showed pregnant brains actually shrink in size. Apparently, us preggers actually do suffer from impaired cognitive functioning and I've so been experiencing it. It's super frustrating. I'm smart, I'm well educated, and yet, I won't be able to recall simple names for things. I have to try to explain them until Max catches on: The place where they sell cars... The dealership? Where you go to buy lunchmeat... The deli? Other times, I'll just plain say the wrong thing. I told my husband that I came home to a bunch of penguins on top of our house. It made perfect sense to me. Luckily, he knows penguins live only in the southern hemisphere and prompted me until I remembered the real name - pigeons. We had lots of pigeons on top of our house. Football shaped oreos? My pregnant tummy says yum! The babymoon looks like it'll be perfect and relaxing!! Heck, it makes me want to go on a vacation now! Hi! I'm visiting from Misc Monday and your blog is so cute :) What a fun time you guys will have on your babymoon! It looks beautiful! 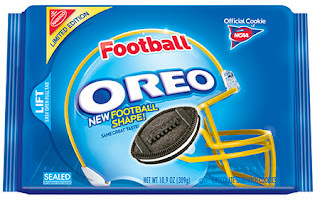 And so those football oreos ;) Cant wait to read more! I'm your newest follower! 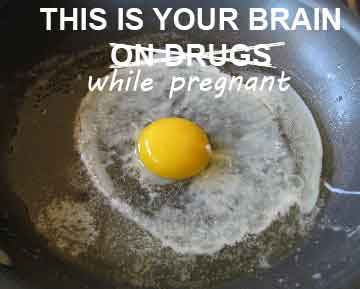 This is your brain while pregnant! Hahahaha amazing! 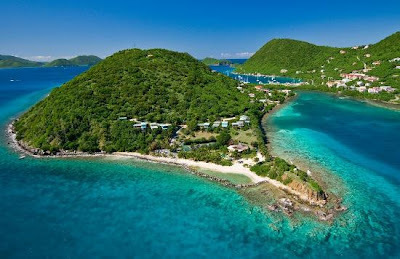 That island is BEAUTIFUL! It makes me want to go on vacation. Is it in Hawaii? I'm sure you two will have a very relaxing / romantic time! It's so sweet that you two are getting away before the baby comes. I love that idea - not that I'll need it for quite a few years! Ha!